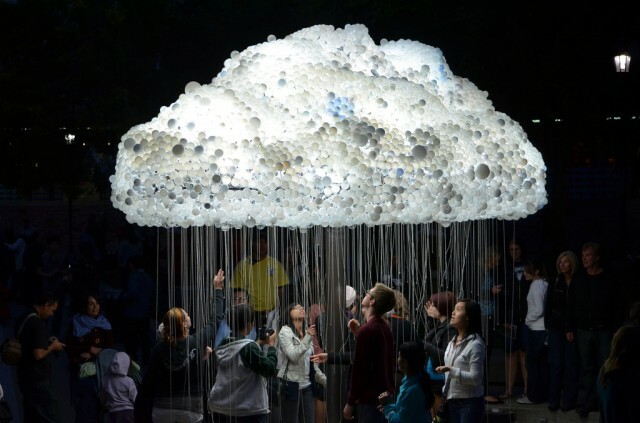 “Cloud” is a delightful interactive sculpture of 6,000 light bulbs assembled into a giant glowing cloud (video). Most of the bulbs are burnt out incandescents that were donated to the project. 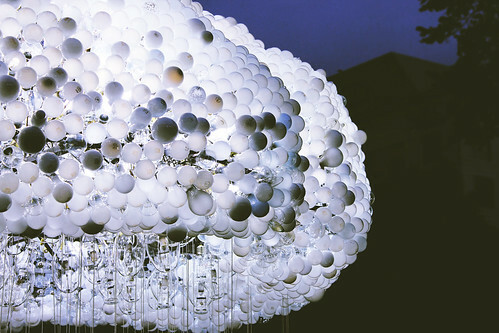 The remainder are new bulbs that light up the cloud. 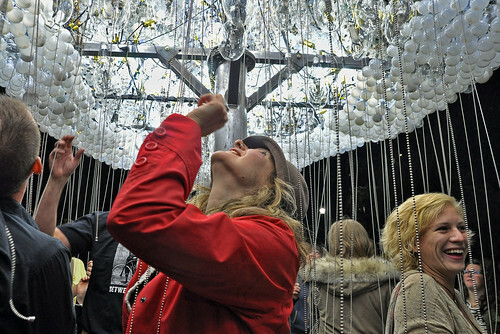 Viewers can turn the bulbs on and off using pull strings that hang from the sculpture, creating a flickering effect. The sculpture was created by Canadian artist Caitlind Brown for last weekend’s late night art festival, Nuit Blanche Calgary.